Well, more to the point, the Universe has finally succeeded in getting me to give my attention to it. I can be pretty stubborn, and I had sworn off ever going down the internet dating path again. 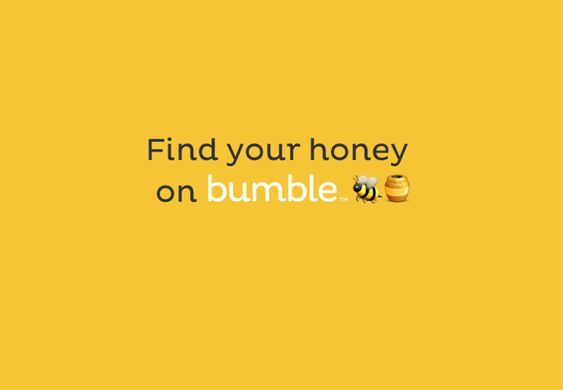 But over the last couple of months I have had four different people – whom I hugely love and respect – share their Bumble experiences with me. They were all positive. They had all enjoyed it. No one had died! I, on the other hand, was hanging on to my very jaded view of online dating. Death was better. Maybe that’s why I have been single for so long!! Many years ago, I had given two different sites a go and my experience overall was definitely substandard. Firstly, I found that people weren’t really honest, pictures didn’t match up with the person sitting across from me, their personal descriptions had been significantly embellished, and people would disappear without any sort of explanation. I mean, just tell me if you are not into me, I can handle it! After two short bursts on these sites, I decided that I was a traditionalist and was resuming my old ways of meeting people and dating. On top of my own personal experience, over the years I have listened to other friends talk about their online dating experience (mostly on Tinder). I have friends who have found their wives and husbands on Tinder so, yes, I do acknowledge that it has a place and can work for some people. On the whole though, the stories are pretty horrific and the women certainly aren’t being treated in a chivalrous and respected manner. I would sit and listen to these stories, enthralled with what the outcome was going to be. In most cases, it was bleak. So you can imagine my resistance when each of these four beautiful people suggested I give the online world a go…. “Thanks, but no thanks. It’s not for me”. Anyway, last Tuesday evening, sitting on the couch on my own, I thought “What the hell! It can’t hurt to have a look”. Five minutes later I had a Bumble profile up and was officially an Online Dater. One of the defining things about Bumble is that the ladies run the show and I wonder if that is why the calibre of man is different. The guys who just want to hook up and get their fill would most probably not enjoy the women having control. It felt like Mrs Bumble had picked the best of the best men from the other dating sites and put them all in one place. The gents can show interest in a woman, but until she shows interest back, there is no chance to communicate for them. Once mutual interest has been indicated, the woman has 24 hours to start the conversation or the potential Romeo vapourises into the ether, never to be seen again. So on Tuesday night, I clicked with carefree abandon and very quickly I was chatting to some lovely men who asked great questions and seemed authentic. Still cautious but now holding a smidge of hope, I continued chatting with people over the next few days and went on my first Bumble date last Friday night. My Bumble virginity is now lost forever! We had a great time, lots of good conversation, laughter and even a goodnight kiss at the end (I know, how “un-Tinder” to not sleep with him immediately!). Throughout my first week on Bumble I have talked deeply with four men who are all so lovely, and I am officially converted back into a fully paid up, card-carrying Online Dater. You know, I am so grateful to the Universe for leading me here. It is so refreshing to meet smart, chivalrous, emotionally intelligent men, and even if they are not my future partner, it’s just great to connect and know that they exist. Previous articleBreaking throughHow do you rate your health?